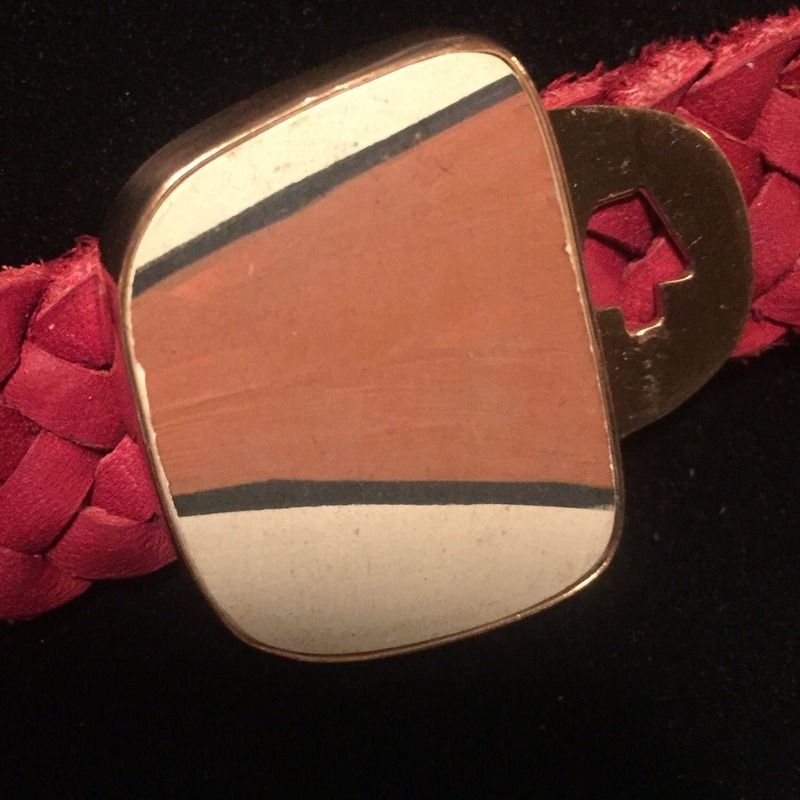 Ceramic Mata Ortiz pottery shard set in copper base with a red leather band. 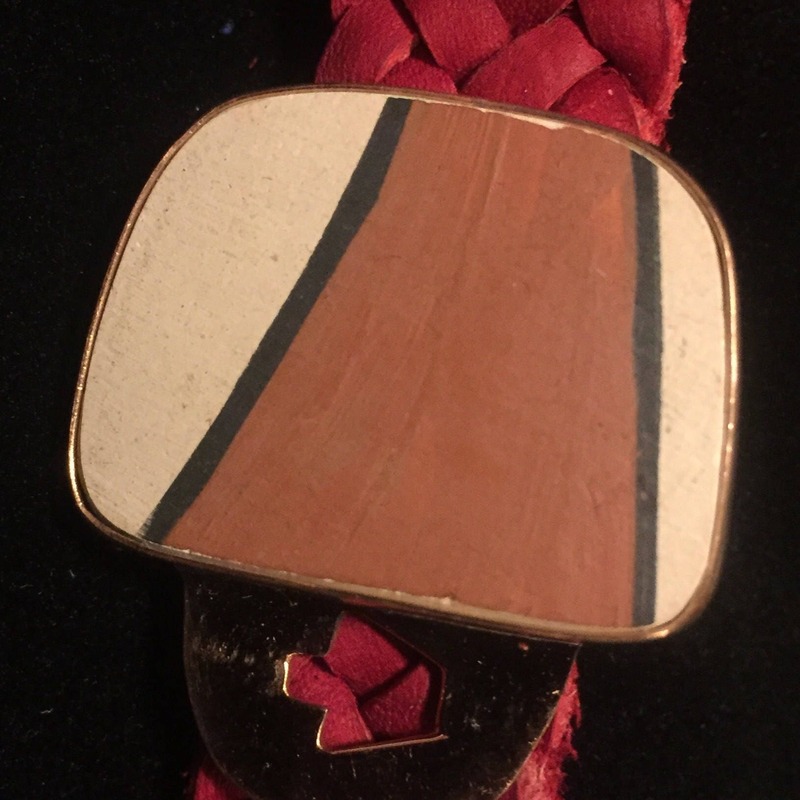 The pottery shard is about 1" in diameter. 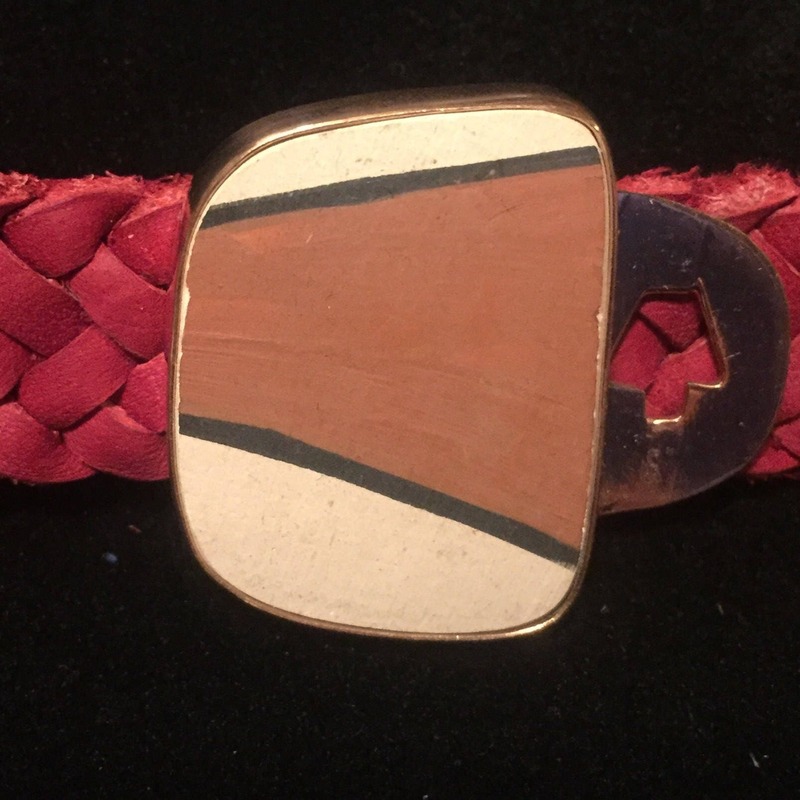 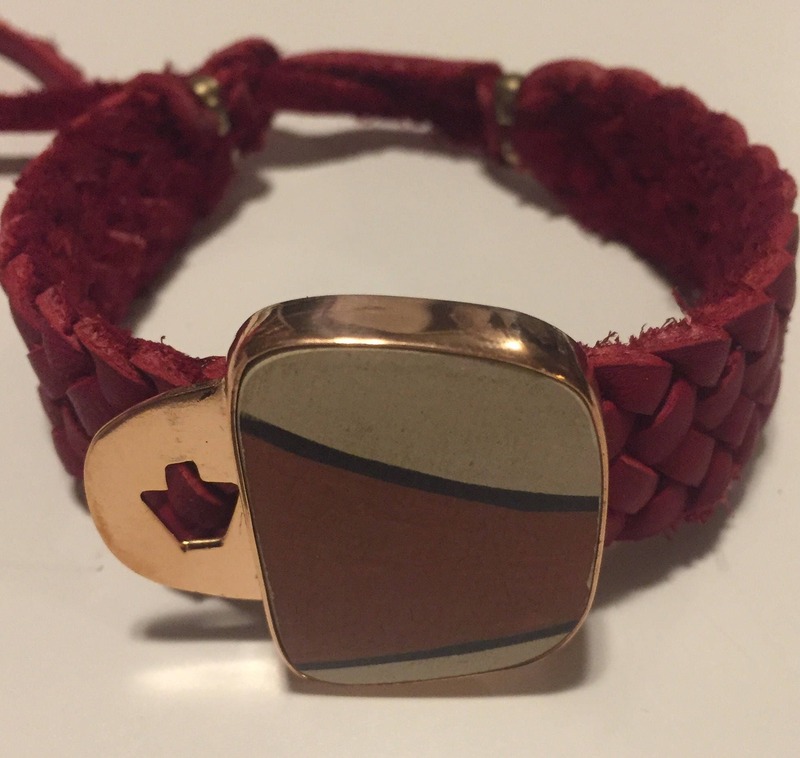 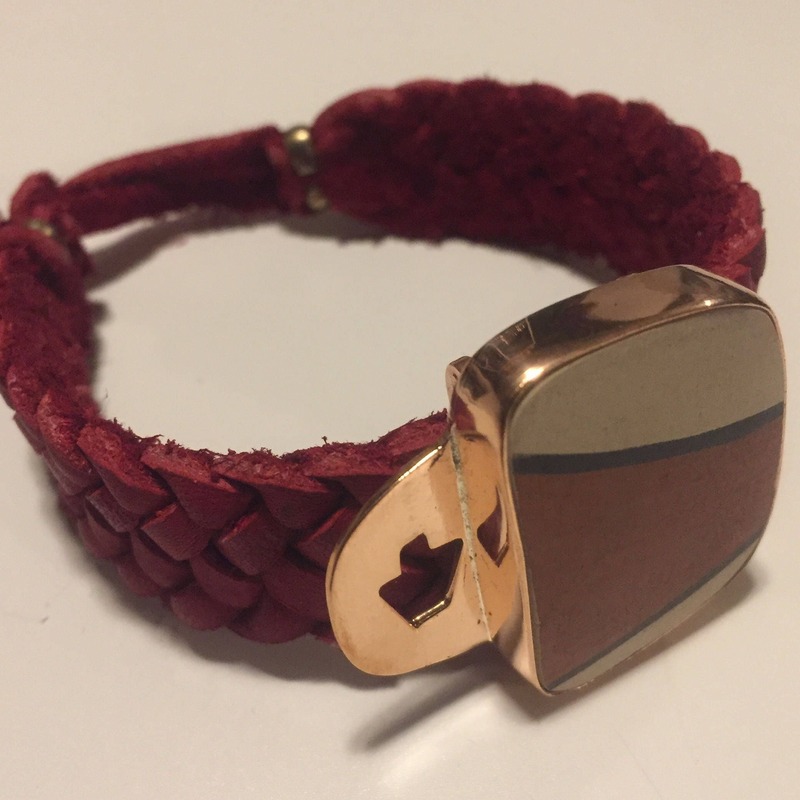 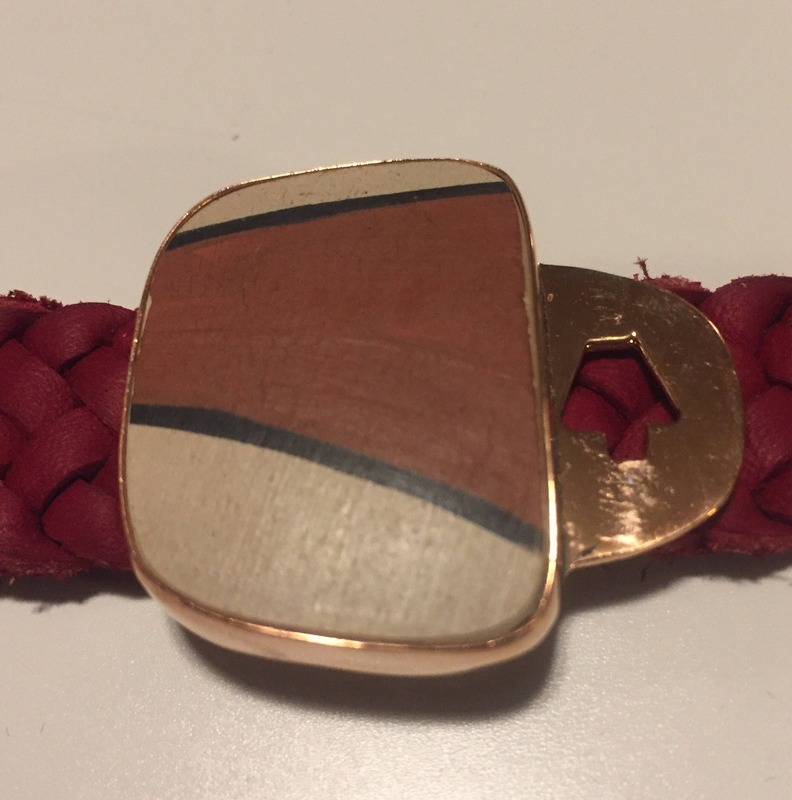 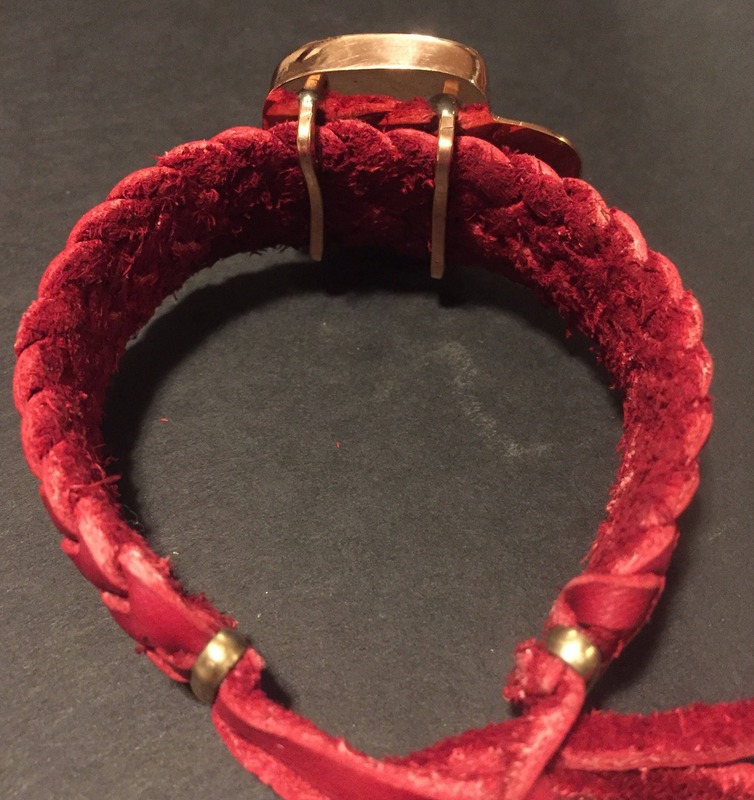 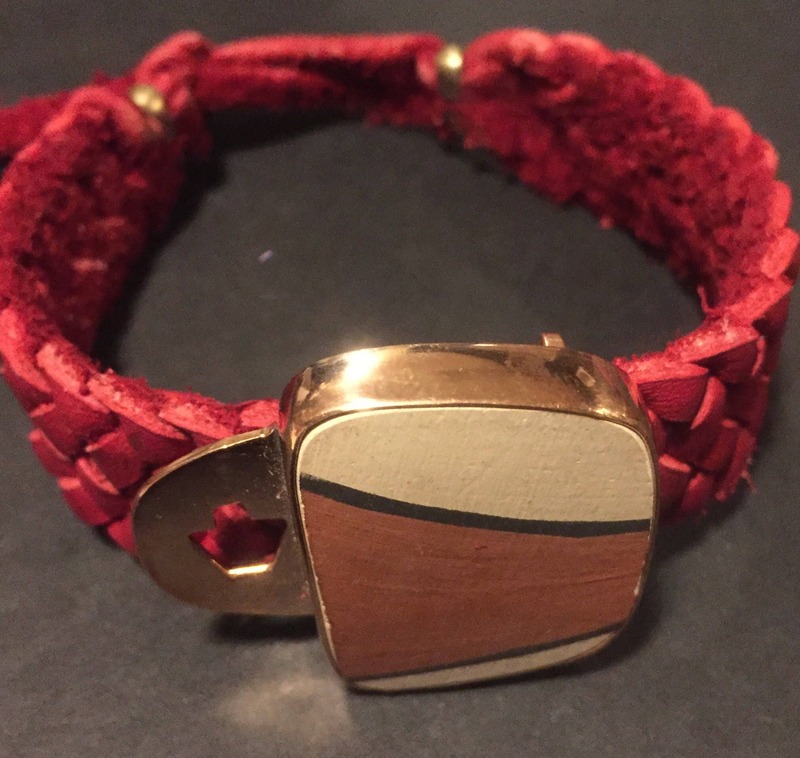 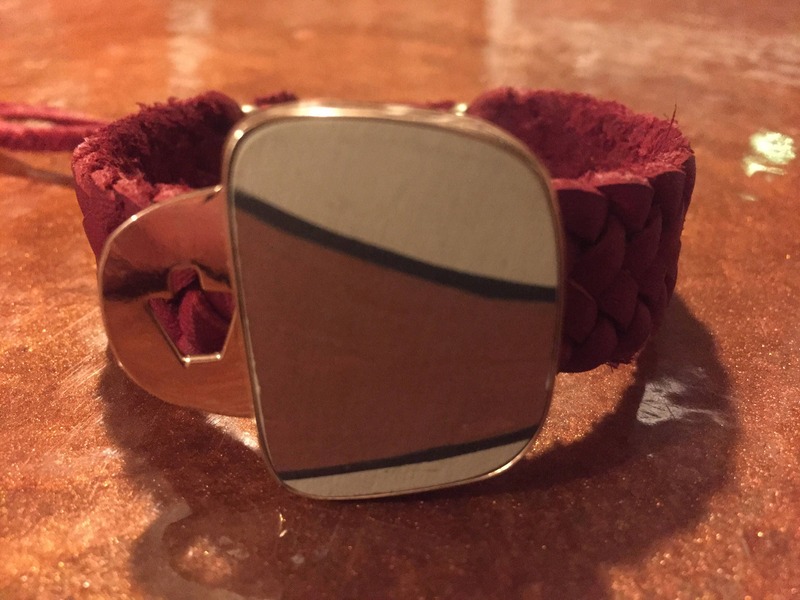 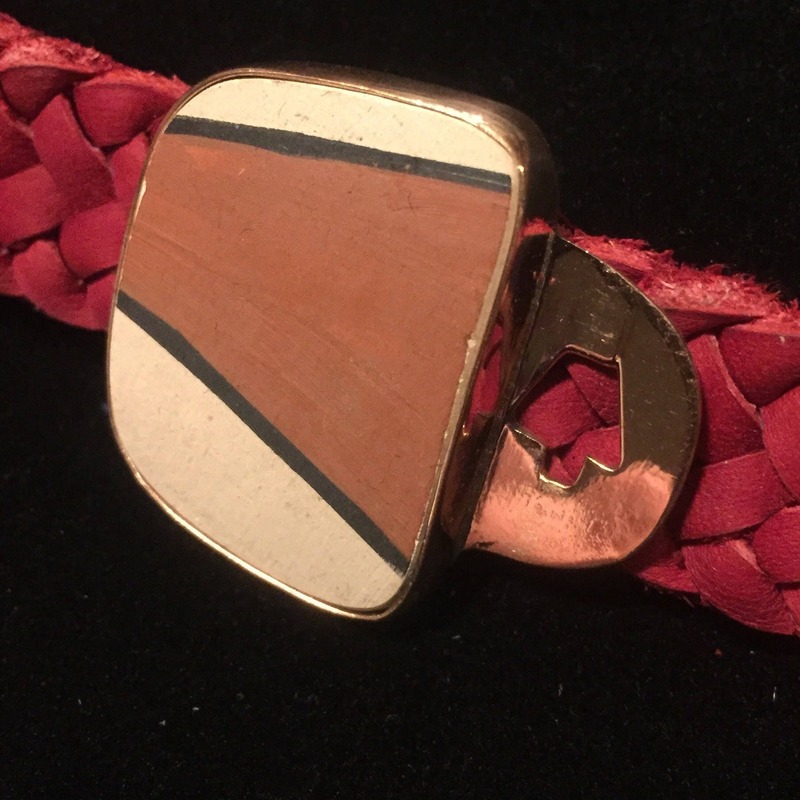 The leather band is 3/4” wide and adjusts between approximately 6 and 9 inches in length.